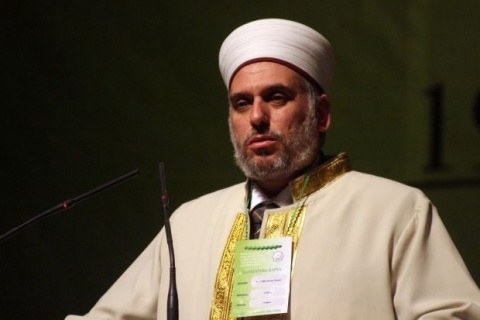 Bulgaria's Chief Mufti's Office has complained of the public attitudes against the Bulgarian Muslims in the wake of last week's terrorist attack in the Bulgarian Black Sea city of Burgas. The July 18 terrorist attack in Bulgaria's Burgas, also known as the Burgas Bus Bombing, killed 5 Israeli tourists and a Bulgarian bus driver at the Sarafovo Airport near Burgas. The attack was later discovered to have been committed by a suicide bomber, whose origin is still unknown. The Bulgarian victim of the Burgas Bus Bombing was in fact from the ethnic Bulgarian Muslim community known as Pomaks, 36-year-old Mustafa Kisyov from the village of Yurukovo, Yakoruda Municipality in Southwestern Bulgaria. "Terror is definitely not accepted by Islam regardless of its goal and cause. There is an emblematic saying by Islamic thinkers that terror has no religion, and that there is no terror in religion," the Bulgarian Chief Mufti's Office stated Wednesday. The institution has complained of the Bulgarian media and their attitudes towards Bulgarian Muslims as a result of the terrorist attack in Burgas. "Days of the terrorist attack in Burgas, the Bulgarian media irresponsibly keep publishing opinions about a potential link of the Bulgarian Muslims and their cooperation in the conducting of the terrorist attack and a threat of new similar actions. We are deeply worried by the fact that these unfounded media insinuations are occurring during the Holy Month of Ramadan," the Chief Mufti's Office said. "The Muslim religion and the Muslim community cannot be accused of a crime committed by one person or a group of marginal types. Terrorism is an enemy to both Muslims and the entire humankind," it added. According to the Bulgarian Chief Mufti's Office, the Bulgarian Muslims have become a "moral victim of the society and the media through incompetent and biased manipulative insinuations." "It is perplexing why the government, politicians, public figures, and academia have not expressed a position regarding this deep injustice," the Chief Mufti's Office concludes.